In order to do the same you have to make sure your virtual machine is ‘shut down’ and its not in the stage of ‘suspend’ and foremost we have enough free space on your local machine. 1. 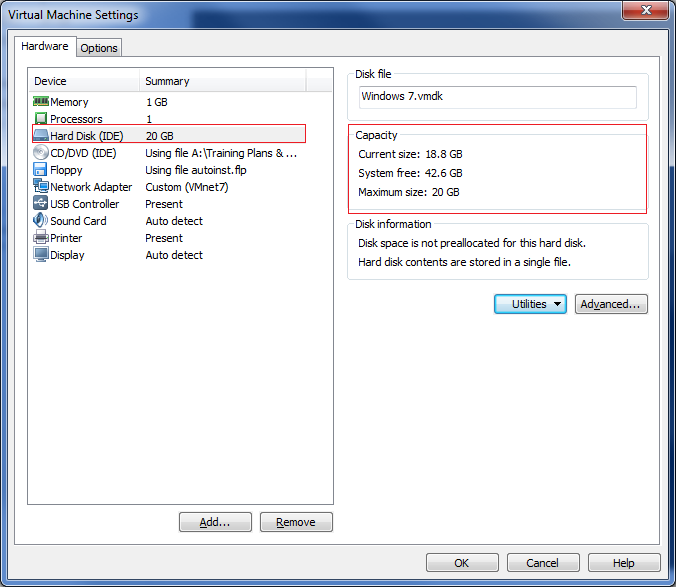 Now select the VM that you need to expand the HDD space->’Settings’. 2. 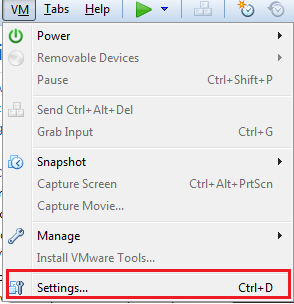 Now the settings of the VM will be shown. Select ‘Hard Disk(IDE)’->And from the right side of the settings window you can see the properties of the HDD allocated That is ‘Maximum size’ is the HDD space that we have allocated while creating the VM machine. ‘Current size’ indicates that the Size that can be utilized from the allocated size. 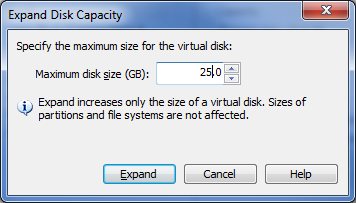 ‘System Free’: Is the size that is available as free in the local drive that you have located your VM. 3. Now click on ‘Utilities’ and from the drop down list select ‘Expand’. 4. Now the window will appear that verifies that how much space is required to be allocated. 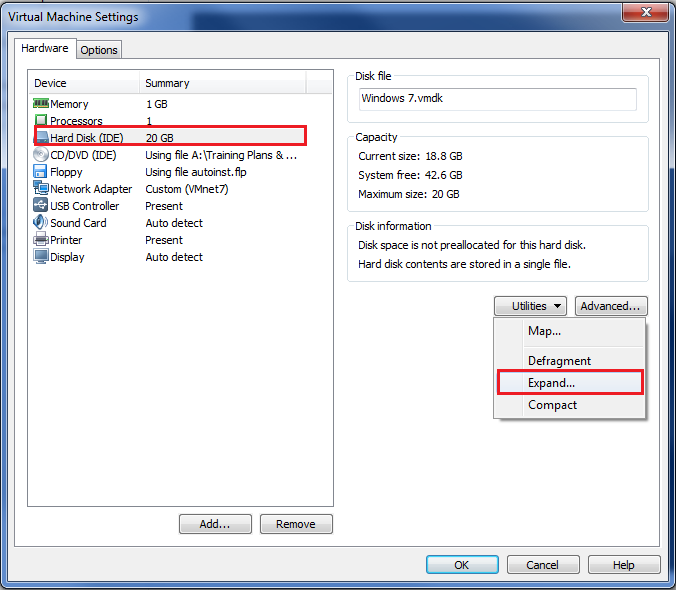 Editing the new HDD size will enable the ‘Expand’ button. Note: The ‘Maximum disk size’ that you are specifying will be the disk size after the operation. So please specify the HDD size that you needed. 5. Click on ‘Expand’ button and it will start the operation. Labels: How can I extend the Virtual machines hard disk space? How to allocate the local machines hard disk space to the vms that is already created.